Process mining is focused on the analysis of processes, and is an excellent tool in particular for the exploratory analysis of process-related data. Understand how effectively use it as an exploratory analysis tool, which can rapidly and flexibly take different perspectives on your processes. That is exactly what happened in the customer service process of an Internet company . In a process mining project, initially the customer contact process (via telephone, Internet, e-mail or chat) was analyzed with the Service ID column chosen as the case ID. This view produced an impressive “First Contact Resolution Rate” of 98%. Of 21,304 incoming calls, apparently only 540 were repeat calls. Then the analysts noticed that all service requests were closed fairly quickly and almost never re-opened again. To analyze the process from the customer’s perspective, the Customer ID column was chosen as a case ID. 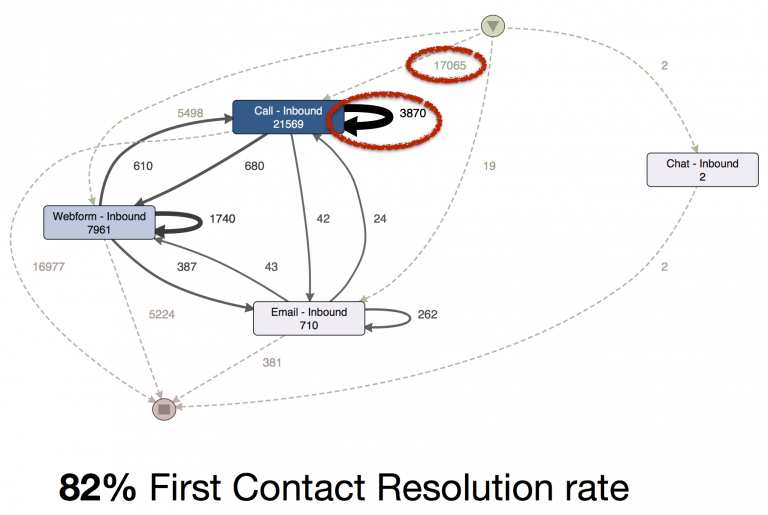 This way, all calls of a specific customer in the analyzed time period were summarized into one process instance and repeating calls became visible. 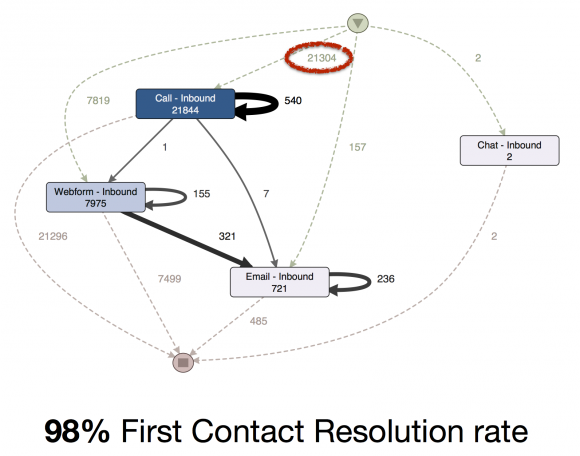 The “First Contact Resolution Rate” in reality amounted to only 82%. Only 17,065 cases were actually started by an incoming call. More than 3,000 were repeat calls, but were counted as new service requests in the system (and on the performance report!). Process mining allows you to get a process perspective on your data. Moreover, it is worthwhile to consider different views on the process. Look out for other activity perspectives, possible combinations of fields, and new perspectives on what constitutes the case in the process. You can take different views to answer different questions. Often, multiple views are necessary to obtain an overall picture of the process. Do you want to explore the perspective changes presented in this article yourself in more detail? You can download the used example files here and analyze them directly with the freely available demo version of our process mining software Disco. Bio: Anne Rozinat is a co-founder of Process Mining Company Fluxicon, and blogs at Data Science Blog. She is bases in Netherlands.